When I found out my father's cancer had returned I made immediate plans to go visit, then remembered something he had said to me (in jest) the last time I had visited him. 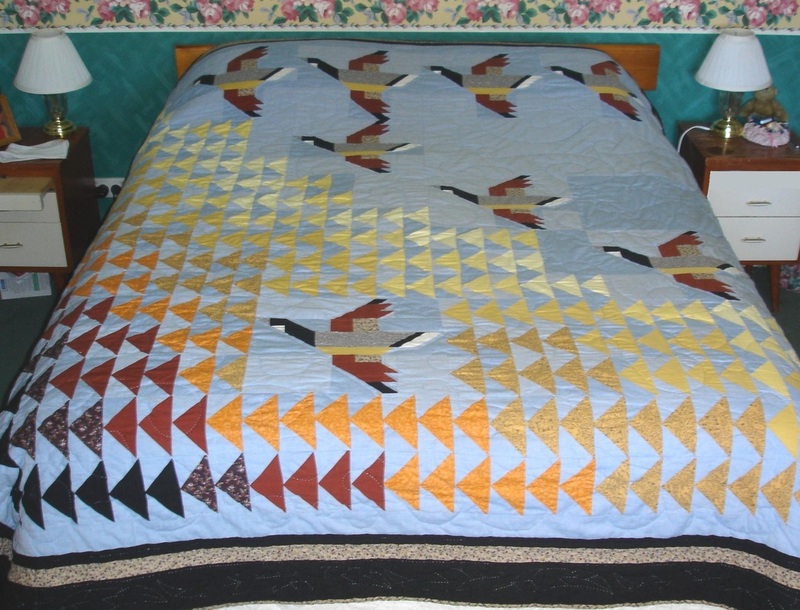 I had given my parents the 'Grandmother's Fan' quilt and the 'Golden Anniversary Quilt'. Dad asked when I was going to make a quilt for HIM. 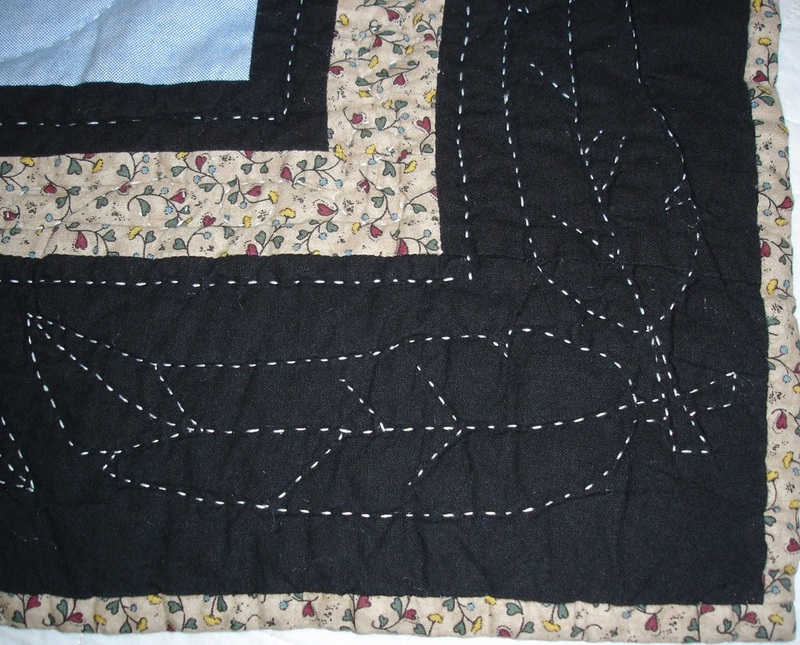 When I reminded him that I'd made these two quilts already, he said it was GRANDMOTHER'S FAN...then laughed. He was joking, I knew he was joking, but it still bugged me. My husband arranged tickets for me to visit in two weeks time. I wanted to make a quilt for dad! I scrambled through some patterns and found this one. Dad had hand reared some geese (not Canadian) and had really loved them. I thought he'd like this...but I had only two weeks to create it! I needed heaps of light blue, and didn't find anything I liked locally. The remedy was to use some of the broadcloth fabric from the stash I made my husband's shirts out of. I machine pieced and roughly hand-quilted this - only finishing it a couple of days before I left. Dad was inordinately pleased. He used it until he was so ill he was afraid that he might accidentally damage it. My younger son took it to college with him, until I finish his going away quilt.